Not as high priority as some as I don't see it spammed everyday, but currently Disintegrate doesn't affect constructs, undead and whatnot as I suspect they are coded to be immune to all spells with a fortitude save? This spell should be affecting them normally as in dnd their fortitude immunity doesn't apply to effects that affect objects. I'm assuming Acid blast and fog also use fort saves for their risidual damage, so I was thinking disintegrate could be treated the same here. Just because they have no CON ability mod doesn't mean they are immune to all types of damage - that's why they have a fortitude saving throw included. Templates should allow for acid type damage and disintegration. Spell resistance should already be a separate roll. Just to throw it out there, Golems are immune to disintegrate unless otherwise specified, as golems are immune to magic with an exception of 2 or 3 spells per specific type. They are delightfully complex "creatures", and I am not sure if they're coded that way in FK. Perhaps I worded that poorly: Constructs encompass the realm of golems, animated objects and constructed creatures. A golem's spell immunity applies only to spells that check for SR (spell resistance) - Conjuration spells are dope for that reason. The two highest CR golems have outright immunity to magic and are specifically noted as such. Disintegrate should and does not work on golems in FK but should afflict damage on other constructs as the spell can affect objects. 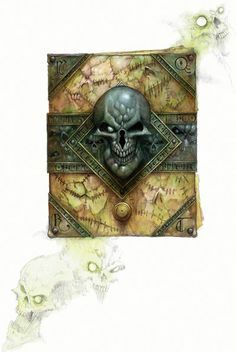 Undead have no constitution score and instead undead like skeletons and zombies get their fortitude saving throw from their HD or character level with a base of +2. Bad FORT saves all around for these guys - even the liches. Perfect targets for disintegrate. Simossus wrote: Perhaps I worded that poorly: Constructs encompass the realm of golems, animated objects and constructed creatures. A golem's spell immunity applies only to spells that check for SR (spell resistance) - Conjuration spells are dope for that reason. The two highest CR golems have outright immunity to magic and are specifically noted as such. Disintegrate should and does not work on golems in FK but should afflict damage on other constructs as the spell can affect objects. Did you mean should not and does not? Disintegrate is a trasmutation spell with Spell Resistance, and thus golems are immune to it. Except for (Censored) golems, as it slows and harms them. It should definitely affect other constructs. There are golems that are straight immune to magic? Can you link me?